Discussion in 'Archive' started by Yumi, Nov 20, 2018. In a month, on the 22nd of December, Lineage 2 Classic will celebrate its third anniversary in Europe! 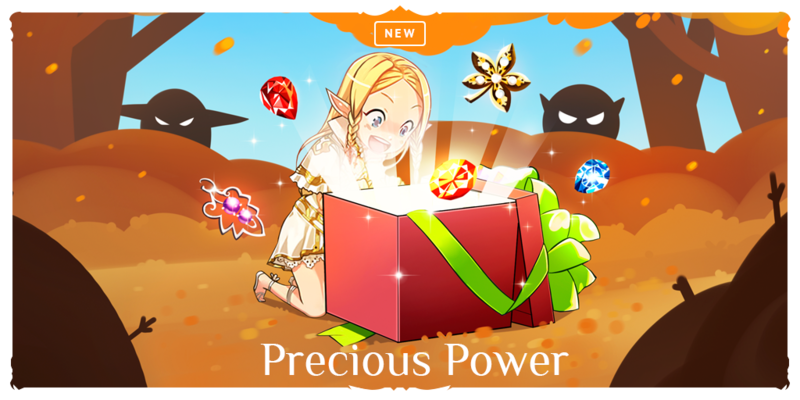 An important present for our regional version is a new content with special equipment - brooches and noble stones! These stones can be modified. Modification will improve their power. All the detailed information considering Synthesis of stones and the ways of their obtaining can be found in the official Knowledge Base. Blueshadow, xForce, Constance9 and 7 others like this. Adena, adena, adena... Whyyyy... ? Spots where there's no drop and more content where you need adena. DigRaj and Ion16 like this. Gooooood more ADENA! Force all those lazy people to leave town and stop leeching on RBs only. So glad that you managed to get these in game without having to go the cash shop route. You get some things wrong and players are often vocal about this, but on this occasion you deserve a "well done". From past experience I know it is not easy to get region specific implementations and I hope other players are willing to acknowledge that you've done a good job here. Budinoide, enereS, DigRaj and 3 others like this. I wonder how far can the game will be ruined!Players quit from GOD Becouse of tons items imbalanced game...going to classic becouse there no way to be OP and just few items.But now we see classic = GOD = no life...Soon we will see how 1 player will kill 4-5 partys solo .Let the "PIGS" be bigger than ever. There is and always was ways to be OP... OP Class, OE++ gear, higher level etc. Brooches will add to this but at least they need to be worked for and not bought / RB boosted etc. If anything these brooches will balance a few classes (for Olympiad etc) and they do enable veteran players to progress a bit easier into the most toughest content. Its a positive addition in my opinion. The real problem is yet (i said it several times) the market. We REALLY need a larger market because, if it will not and remain the same, low level players dont have possibility to made BIG stuff (Weapon++++, that new items) in front of old players and the GAP become wider. At the moment Skelth Team need to care new players, for the future of old players (and Server) too. This is how the games works, last 20 years. After getting new patch, they make the game easier for the newbies like you. And implement new feature for the ppl high lvl. Because they cant stay and wait you 2 years to catch them up, without any new content, you know. I was saying this since CLASSIC was released, that this is PRELUDE to GOD. They invested alot of money of making GOD, but nobody plays it. PPL still prefer playing private Interlude - h5 servers. So the making of " Classic" was a trick to make ppl playing it like a retro version. But in the end we will be with 4th class, 2 SAs, GOD sills and etc. BEcause is much much easier of copying old content and put it here in " Classic" like brand new feature, instead of paying developers creating brand new content for the classsic. why are they not tradeable? can you at least trade them with the dimensional merchant? Monolitas - another NA "pro" with 0 knowledge? learn to read, really. Budinoide and 1Shadow9Fists like this. The idea of limiting the amount of jewels a person can obtain daily and making the system asking your for adena ( and not even THAT much, 2m) is indeed a huge thumbs up. God, imagine if the live servers had the same system for broochs/shirts/sayhas, the game would have lasted a lot longer. Down the road, every NORMAL players will be able to have the jewels, and if everybody has them, the gap won't be that big (it stopts at level 5,anyway). It will be less of a problem than over-enchanted weapons (also luck dependant) and untradable (less chance of exploitability). Hope to god NCwest copy+paste this idea. AquaMarine and enereS like this. Very good implementation, too bad this server has the macro tramp stamp. it could have been so great. Well done! Thank you for not putting them in the cash shop. And thank you for limiting the amount any one person can get in any one day and making them not tradeable. This is the way it should be done. My only concern is that this will be a tremendous adena sink. Hope that doesn't cause unintended problems down the road. Troy and Wilczka like this. I'm talking about other versions, not this version.